Nurture The Love of Reading w/ Free Books! I am lucky to have a book lover in my hands when it comes to my youngest child. It is a miracle considering that her 4 sisters will not read a book to save their life. As a lover of books, for me it has been a joy to share this great love with at least one of my girls. During the school year one of the funnest things for Sammy has been the Scholastic book program and getting to order books a few times a year. 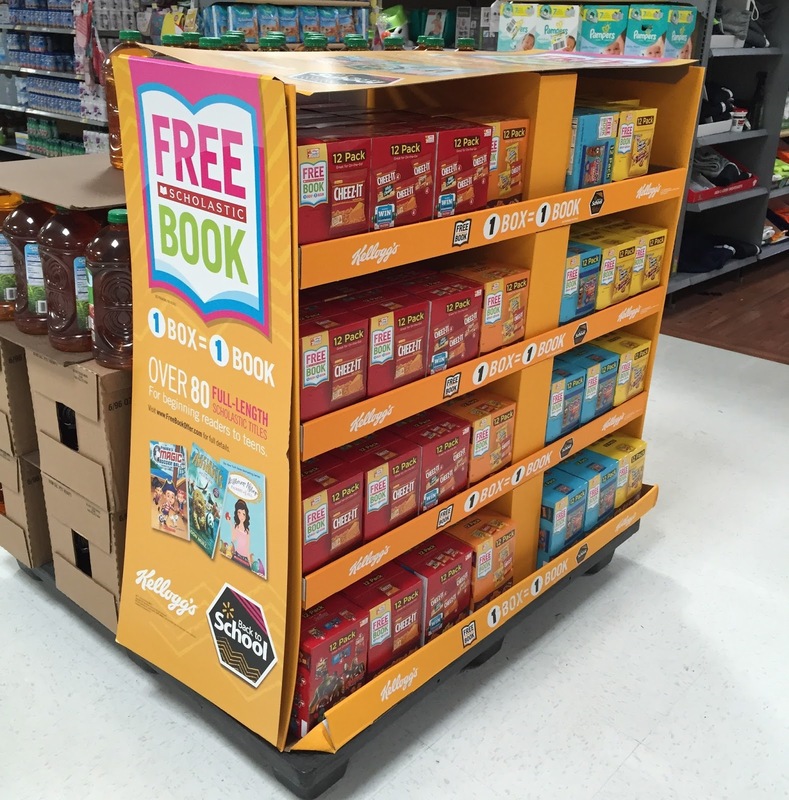 That is why I was so excited to learn that Kellogg's and Walmart have teamed up for a promotion that bring FREE BOOKS to our kids with the purchase of staple items we already buy for the family. Better yet, we can buy these items online which means that I don't have to head to the store for another shopping trip, and once the items arrive I can enter the codes for the free books. I don't know about you but FREE BOOKS totally tickles my fancy, Sammy reads so fast that I need as many books for her as I can get my hands on. Sammy starts school in a week so I placed an order for all of her favorites: Kellogg's Frosted Flakes, Kellogg's Fruit Loops, Kellogg's Pop Tarts for breakfast and Kellogg's Rice Krispy Treats for snack time. 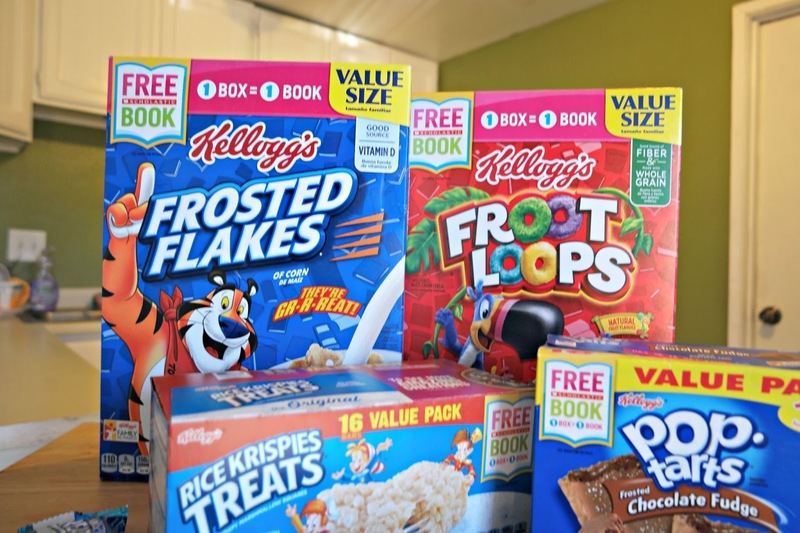 For the promotion you can redeem one box of Kellogg's products = 1 book. Each person is able to redeem up to 30 books. That's a lot of books, which would make a great addition to Sammy's library. See the full list of books here. I think you will enjoy how there is a great selection for all ages and genres. Something else that you can do with these books, which I think is FANTASTIC is donate them, that means that your books will ship directly to a school if you so choose. FYI: You can find items for this promotion in-store too, just look for this special display or for specially marked items on the shelves at Walmart. Enter codes for free books. Have your child ENJOY their new books! Be sure to check out more books available via this Kellogg's offer at http://cbi.as/gfgc. I'd love to hear your favorite book offered!